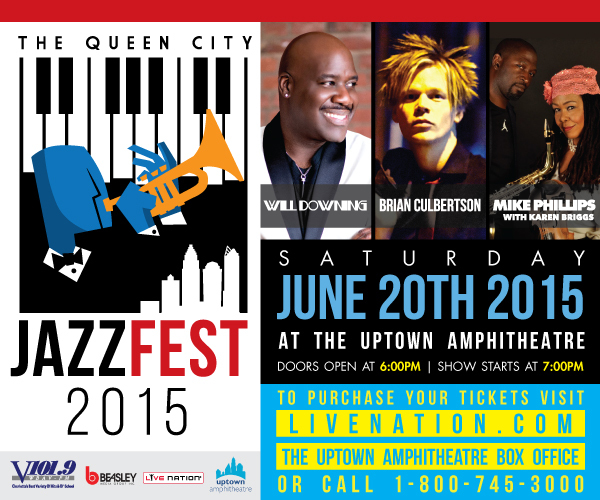 This year marks the first annual Queen City Jazz Fest. Perfectly located at The Uptown Amphitheatre in downtown Charlotte, North Carolina. Come out and enjoy live performances by Will Downing, Brian Culbertson, Mike Phillips, and Karen Briggs. Great music and exhilarating show stopping performances will fill the evening air, while the beautiful Charlotte skyline serves as the perfect the backdrop.